Pokey Okey, Anderson Road, Richmond, BC, Canada - Got Food Poisoning? Report it now. 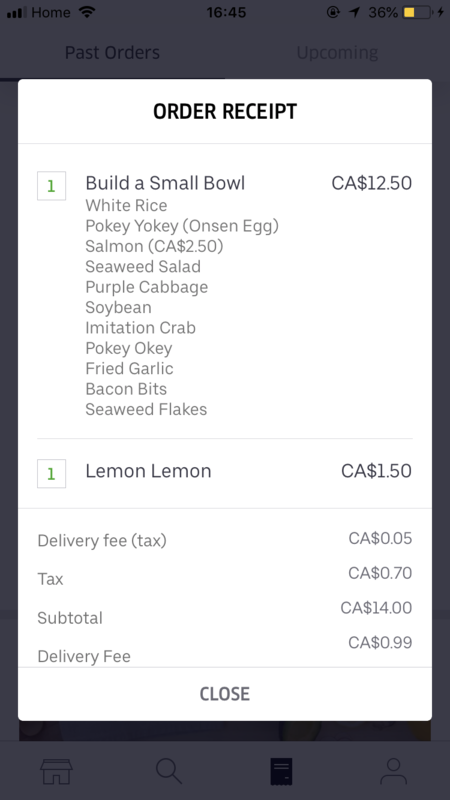 “On March 28th I ordered a Poke bowl from Pokey Okey through Ubereats. Small bowl with white rice, onsen egg, salmon, seaweed salad, purple cabbage, soybean, imitation crab, pokey okey sauce with fried garlic, bacon bits and seaweed flakes. I ate the Poke around 19:30pm and around 23:30 I was about to sleep but I had nausea. I was laying on bed for about 2hrs, and at 1:40 am I had terrible cramps, had diarrhea like I never experienced and vomited right after. I still had nausea and I tried to go back to sleep, but 30min later it almost came up to my throat and I went to vomit for the second time. I was very tired but couldn’t sleep with nausea.